Sweet Sharings : How to Mend a Broken Heart? A friend asked, how do you mend a broken heart? Not an easy question to answer but there are many ways to ease the pain and eventually start over again. 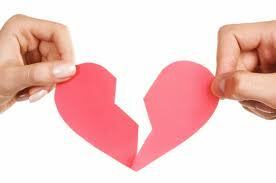 Heartbreak is a type of emotional pain that really, really hurts. In fact you will feel rotten for a long time and even cry non stop. Let it all out…it’s ok…grieve your loss, but remember not to do it too long or you will just end up getting even more damaged not only emotionally, but also physically and mentally. You should understand that there is really not a single perfect relationship in the world. Even those couples you admire have their ups and downs; they just know how to deal with them. So, you should accept the fact that you were both responsible for the way things turned out in your relationship, even though it may appear as if it was your ex who was in the wrong. You should therefore agree to start your relationship afresh without focusing on the past mistakes. The happy fact is that most people not only get over heartbreak, but they go on to love again. No one is immune from a broken heart. At some time in our lives someone hurts us, or we hurt them, and we feel like curling into a corner in a heap of tears. We have all been there. The good news is the heart does heal. And we can find the courage to love again. Reference your favorite quote to ease your heartache. You’ll find some of them are hopeful and give you at least some strength to move on.